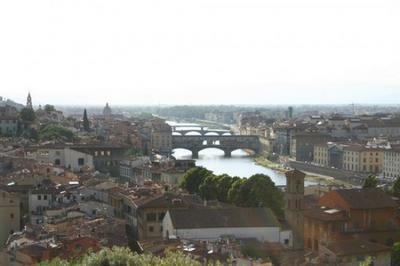 Florence covers an area of approximately 102 square kilometres. Approximately 366,000 live in this fascinating city. 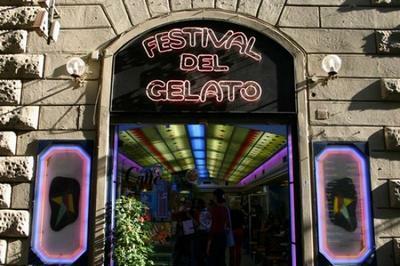 What is Florence's number one attraction? Florence's number one 'paid' attraction is Galleria degli Uffizi. It holds the world's most important collection of Renaissance art but it's also one of Italy's most crowded museum. Antique sculptures, illuminations, paintings and tapestries adorn the walls of this gallery. You'll see works by famous artisits such as Michelangelo, Giotto, Botticelli, Leonardo da Vinci, Perugino, and Raphael. Buy your tickets in advance to avoid the long queues. 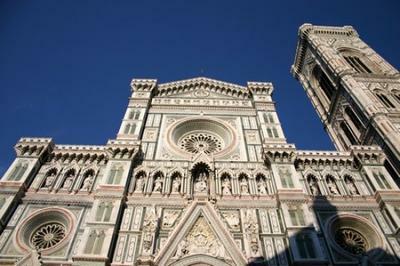 Check out Il Duomo - Cattedrale de Santa Maria del Fiore. 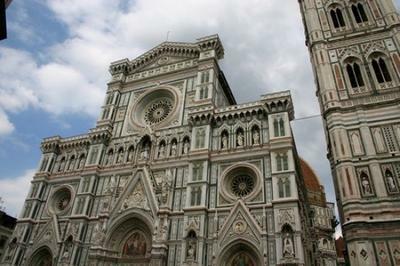 This huge Gothic cathedral, which dominates the Florence skyline was begun in 1296 and holds 20,000 people. It is located in Piazza del Duomo. Also in the main square is the Campinile (bell tower). Climb the 414 stairs to get an unbeatable view of the city. 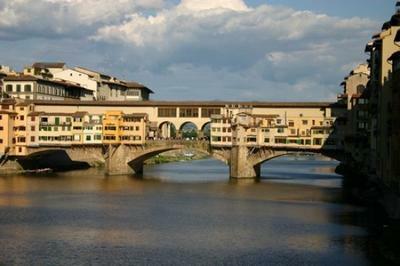 A visit to the Ponte Vecchio is a must. It is known for its fine jewellery stores and it was the only bridge to survive the bombing in World War II. The Galleria dell' Academia is home to arguably the most famous sculpture in the world, Michelangelo's David. 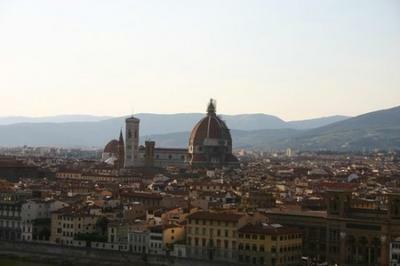 On average, how much does it cost to gain entry to Florence's main attractions? Reserved tickets for Galleria degli Uffizi cost around €8/9. Most other major attractions are either free of charge or around €6. It costs nothing to wander into the Basilica di Santa Croce, Chiesa di San Miniato al Monte, Chiesa di Orsanmichele, Il Duomo and some of the cenacoli. Most of the main sites are jammed into one small area so you can see a lot in a short space of time but if you decide to visit the numerous museums and galleries you will need a few days. 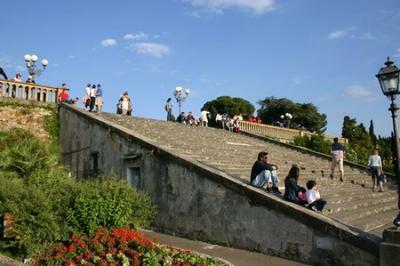 However for those of you who aren’t art buffs you might be better off venturing to the Giardino di Boboli and the Palazzo Pitti or take in the city’s skyline from Piazzale Michelangelo. Is it expensive to go out in Florence? It all depends on where you go. Like most cities in Italy beware of the tourist areas as prices will be higher. In general a glass of wine should cost £3 while a beer should be €4. Sitting outside on a terrace will also be that bit more expensive than sitting inside. Keep your eyes open for special offers and cheap nights out – this is after all a university city. The city centre has lots of bars and clubs. 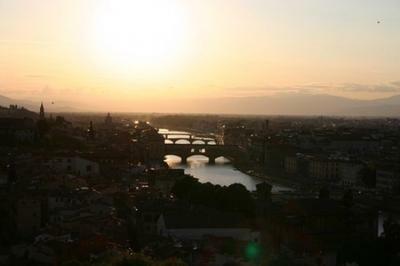 Most are found around Piazza Santa Croce & Piazza della Signoria while Oltrarno in the south is where you can party until the wee hours of the morning. Tenax, Via Pratese, is one of the most popular discos in town> It a favourite with the young crowd. Cocktail lovers should also try Café de Paris, Piazza Dalmazia, which serves over 100 long drinks along with a selection of antipasti. For a glimpse of an authentic Italian watering hole, check out Le Volpi and L' Uve, Piazza de'Rossi 1, to sample some of the best wines the region has to offer. After dinner take a walk around the town to see Florence by night. It is beautiful when lit up and very safe. It is a great place for couples to enjoy a romantic stroll. At Astor Caffe, Piazza Duomo, you can often catch a live band playing, while Caffe la Torre, Lungarno Cellini 65R, which is famous for its aperitifs, also serves up jazz, blues and Latin beats. Is it expensive to eat out in Florence? Piazza and pasta is relatively cheap but food in ristorantes tends to be more expensive. It is best to eat in a pizzeria or a trattoria. For €15 you should be able to get a pizza, beer and coffee. Around Il Duomo there are plenty to choose from but these tend to be tourist traps. Check out Santa Croce, Piazza Santo Spirito and around Santa Maria Novella. There aren’t many choices for ethnic cuisine aside from the ubiquitous Chinese option. You can get good quality falafel kebab in a few take places around the city. A good option for Mexican food is Café Caracol or Dioniso for Greek food. If you find yourself in Florence late at night and want to eat something you should be able to find somewhere serving food up until 11pm. Don’t expect to find late night places serving fast food after the bars and clubs close. In around the main sites you will see many restaurants offering 'menu touristic' and ‘menu del giorno’ which are, you've guessed it, menus for tourists. They consist of 3 courses but the food is normally premade and reheated. They range from €13-€18. The food can be very hit and miss so it is best to find somewhere off the tourist trail where the locals eat.